Executives from around the globe (20+ countries) seek out Gary for a genuine real life perspective delivering amazing results through teamwork, discipline and to the summit. If Guller was to select one factor — it would be consistent execution and delivery of committed outcomes. Here's his view…methodologies provide a nice framework for thinking and have the potential to clarify roles and hand-offs. But nothing beats being out in the trenches working side by side with the teams and learning — and then returning to base camp (HQ) to eliminate obstacles and inefficiencies that possibly annoy and derail teams as they make their way to their summit. The best of plans yield to the situation on the ground and our ability to react, contribute and add long term value. “Your gift is the way you connect with people and help them discover themselves through the story of how you discovered yourself. So deeply genuine, personal and even vulnerable. We all get lost in your story and wonder about our own story. You know how the room feels and reacts. Priceless.” VP Fortune 100 MT. 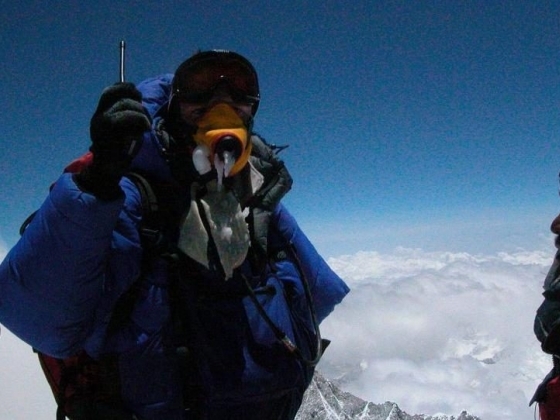 EVEREST / ENDURANCE Gary Guller climbed to the very summit of Mt. Everest and became the first person with one arm to stand on top of the world! 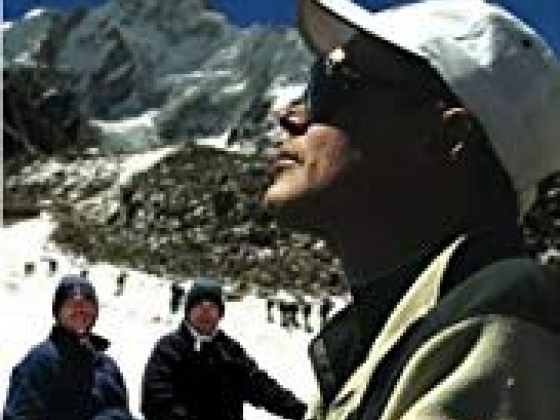 Six weeks prior, he was the expedition leader of the largest ever cross-disability team to reach Everest Base Camp, at 17,500 feet. 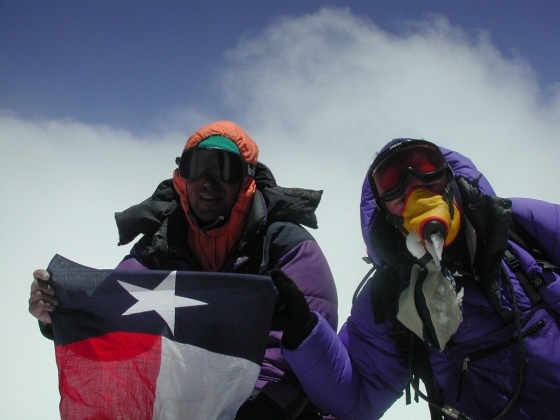 Later the next year, Gary led an expedition to the summit of the world's sixth highest mountain, Mt. Cho Oyu, in Tibet. In addition, Gary completed the grueling Sahara Mds. The Marathon des Sables is a 6 day, ~158 mile (250km) endurance race across the Sahara Desert in Morocco Guller's book, "Make Others Greater" combines Gary's incredible stories with those of leaders and businesses around the world to deliver a commanding and inspirational message of resilience and empowerment. Survival alone doesn't define us. "Gary has several differentiated attributes. He has a very compelling story. It focuses on the team and what is possible. This is a competitive differentiator for our business. Gary brings his A game every time. He spends the necessary time understanding the organization and makes sure his messages are in the context of what the audience needs to hear. Gary puts in the time. He comes in early and is available to the participants afterwards. He does not land, do a stock speech and leave immediately. Having worked with many outside professionals, I can tell you definitively that this is what sets Gary apart." SVP Corporate Strategy Fortune 100 FOUNDER & PRESIDENT: Make Others Greater Inc. A US Registered 501(c) 3 non-profit organization. Make Others Greater projects include school supplies, medical services & training, clean water, safe houses for women and children, educational opportunities, sporting activities and development of sustainable business opportunities for the communities we service. 99% of funds direct to source, the remaining 1% to the bank. Hosting, promotion & website development I personally cover these cost myself - I have the most awesome clients. Specializes in opening & closing keynotes. The best of plans yield to the situation on the ground and our ability to react, contribute and add long term value. Clients include Google, MassMutual, IBM, Microsoft, Toyota, ExxonMobil, Kaspersky plus many more. Gary was excellent! He was extremely professional and involved in our event from the moment he arrived and left a wonderful lasting impression. I received many comments on the great job he did. Gary was fully engaged with our group and spent a lot of his personal time with our employees. Throughout the planning process he communicated often and made us feel very comfortable with our choice. Gary’s message, presentation style was wonderful and I received many comments on the great job he did. Gary’s visit was a powerful reminder that no obstacle should remain unchallenged and that no person should be dismissed without the opportunity to prove what their passion and determination can accomplish.